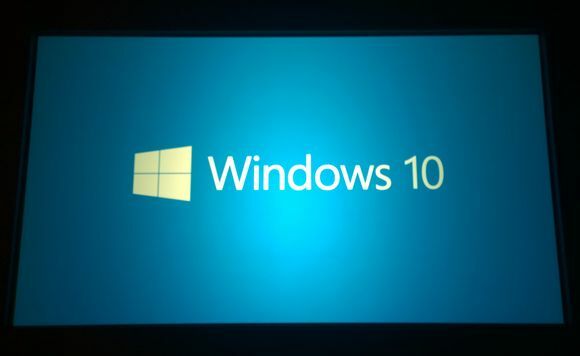 Microsoft has been working on Windows 10, day and night, for 3 years. Yet, they are giving it away for free. This is why. The license agreement basically states that Microsoft reserves the right to scan your entire hard disk, email, and web activity, upload that to their own or 3rd party servers, and that it’s not exclusively for law enforcement purposes. By installing Windows 10 and accepting the EULA, not only are you signing all your rights away by entering into a binding arbitration clause, you give Microsoft cart blanche to grab whatever they want from your system and do with it whatever pleases them. This is effectively Windows 10’s built in key logger. Although Microsoft has put OPT-Out switches on many of the privacy settings, try changing them. They appear to be Window dressing and are not functional. You turn them off and reboot and guess what? They turn themselves back on! When my PC was connected ONLY to my local LAN and NOT connected to the internet, Wireshark and NMAP identified numerous attempts by Windows 10 to communicate to servers not located on my LAN. WHY? If the Windows 10 settings are real, the computer should be locked down to ONLY my LAN, but it was not. Wireshark does not lie. Wireshark was selected as a HIPAA recommended security policy for data. Why is Windows 10 attempting to talk to Microsoft—and possible other servers without MY EXPRESS PERMISSION? Having convenience and a connected lifestyle does not have to mean we give up all semblance of privacy. It is only because companies want to fatten their bottom line and jam these violations down the consumers throat along with the new capabilities that it is like this. Our only real power as the consumer is to recognize the violation and draw a line. Purchasing their product is consent for them to continue violating us. That’s why I now have to advise all my physician and dentist clients, and basically everyone I know or do business with, to steer clear of Windows 10. IT IS NOT, AND WILL NEVER BE HIPAA COMPLIANT!!! More news in the Windows update arena. You cannot turn Windows 10 update off, or control it in any way. At least normal humans anyway. Using Microsoft’s version of peer-to-peer (dare I call it Microsoft Torrent?) is a great way for Microsoft to offload its own update servers, to reduce bandwidth required by its servers, and to foist off the cost of the updates onto the unwitting user. Yes, that’s right. Once Windows updates itself, it then uses peer to peer networking to update all the other Windows 10 machines out there, USING YOUR BANDWIDTH!!!!! INCREDIBLE!!!! HOW DARE THEY!!!! Here’s the topper! The EULA has links in it which you cannot access until you’ve installed Windows 10, as the links to the horrific clauses all must be pasted in a browser you cannot have UNTIL you’ve installed! If you install Windows 10, Para. 3 of the Microsoft Services Agreement, imposes on you a CODE OF CONDUCT! Should you fail to meet whatever it deems the compliance with those (undefined) standards, MSFT has a right to change/delete your data, and even ‘stop services’ In other words, bork your machine. Consequently, it’s doggone disturbing to Forbes and Ars Technica and other magazine writers and most sane people, to see a mere software suite abrogate to itself the role of Big Brother over your own property. All your hardware, and all your software and all your information is now subject to MSFT’s approval? Not your government’s, not your own. Even what you purchased and you own, if you use its OS, grants it, not you, but Microsoft, a right even greater than any government would claim. Seriously? Cut and paste this—> aka.ms/privacy —-into your browser to view some of MS’s privacy policies. Worse, anyone using Win10 with whom you might correspond, now has YOUR data in THEIR machine and it can be compromised directly by MSFT without YOUR permission. So YOUR data gets PIRATED by MSFT just like a pirating program which steals from an internet stream, except that this isn’t an internet stream, but someone’s private machine. Even though you are NOT signatory to the EULA. So now you can sue anyone with whom you correspond, if your data is exposed due to them having Windows 10. YES, THAT’S RIGHT PEOPLE. It becomes an immoral act to install or use Windows 10, since you put in jeopardy the data of everyone with whom you correspond. So now I have to ask that anyone who is using Windows 10 to NOT CORRESPOND WITH ME WHATSOEVER! I have made a very good living off of Microsoft’s products now for almost 20 years. 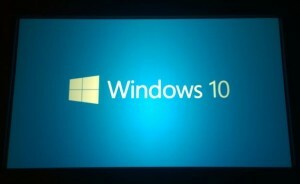 I cannot see how I am going to continue to do so selling any Microsoft product going forward. I just can’t put my clients and friends in this untenable position.